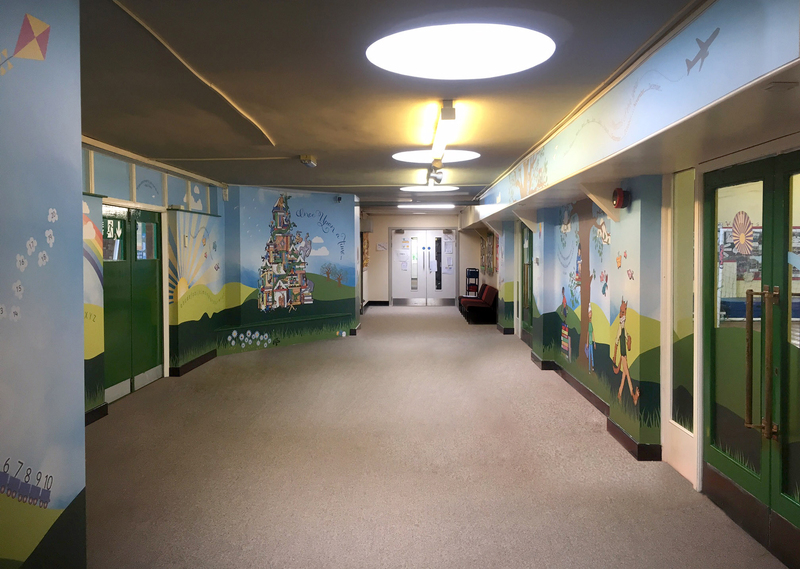 The brief: To transform a corridor space into the Key Stage 1’s school library. The process: Two Thirds Design were invited to Hodge Hill Primary School to brainstorm ideas for their wide corridor. We used inspirational reading quotes, our illustrated book castle and reading tree with characters from classic books to create a backdrop for the school library.